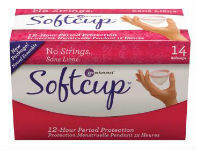 Get a free sample of Instead Softcup. Like the Facebook page to request your own sample. 2500 sample packs will be made available each day until Monday, December 23.